It is an interactive game situated between electronics and the real world making you part of the game. The more players the better (we have played 8 people!). 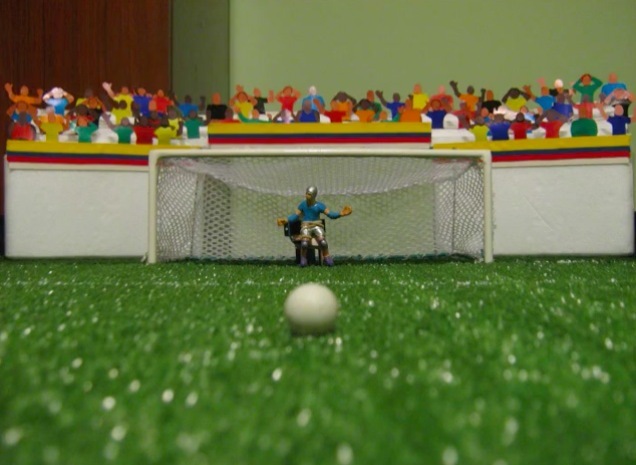 The video below shows the construction phase of the project and several sample penalty kicks. The project involves a variety of electronic components such as the Arduino Uno, servos, LEDs, push buttons, a potentiometer, a switch, a piezo buzzer, a gearmotor, and the ATtiny85, among others (great for a first Arduino project, isn’t it? ).